gin-mag.com is the official web site for Gin Magazine. You’ll find a selection of magazine content, including articles, tastings, plus information about how you can subscribe. VII Hills Italian Dry Gin has been relaunched by Italian mixologists Filippo Previero and Danilo Tersigni. Taking inspiration from the seven hills upon which Rome is said to have been built, VII Hills Italian Dry Gin uses Italian juniper, chamomile, pomegranate, celery, artichoke, blood orange, rosehip infused in a sugar beet neutral spirit. It is distilled using a vacuum distillation technique. VII Hills Italian Dry Gin founders, Danilo Tersigni and Filippo Previero say: “At the moment gin is not only a spirit, it represents people. A meaningful innovation in the gin category today should start with the recipe. In an era of increased awareness, consumers tend to value more high quality ingredients, artisanal techniques, attention ot detail, and individuality. 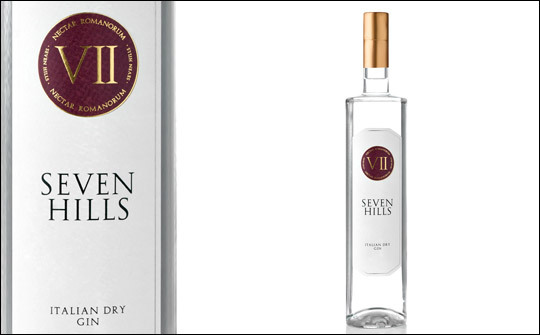 VII Hills Italian Dry Gin is available across the UK at 43% ABV and at a RRP of £26+VAT. A year since we launched, we look at sparkling gin cocktails, Japan and taste another 22 gins! gin-mag.com is the official web site for Gin Magazine. You’ll find a selection of magazine content, including articles, tastings and more.